Take the time to get your skills up-to-date with the RideSafe Returning Rider Course. The On Road website provides further information and news for heavy vehicle drivers. Drivers required to give a minimum of 1m when passing a cyclist where the speed limit is 60km/h or less or 1.5m where the speed limit is over 60km/h. Cyclists of all ages can ride on footpaths. These laws will come into effect on 25 October 2015. Five changes to the Graduated Licensing Scheme will be introduced on 28 July 2014. For details of the laws and go to GLS Changes. A number of exemptions will be available for both the passenger and night-time driving restrictions. For more information go to GLS exemptions. Would the proposed passenger and night-time driving restrictions apply to both P1 and P2 drivers? No. These restrictions would only apply to P1 licence holders under the age of 25 years for the duration of their P1 licence, which is a minimum period of 12 months. Why is the Government bringing in these new laws? To save lives. Young drivers continue to be over-represented in the road toll. Drivers and riders aged 16-24 are being killed and seriously injured on our roads at around twice the rate of those aged 25 and above. Young drivers at the P1 stage are at increased risk of a crash during their first year of driving unsupervised. This is not simply because of risk-taking behaviour, but also due to the inexperience of the driver. 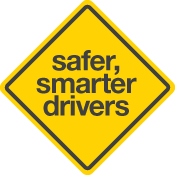 For instance, new drivers are still developing their ability to detect, accurately identify and quickly respond to risks or hazards while driving, and significant experience is needed before these skills improve and crash risk decreases. 30% of drivers aged 16-19 years involved in fatal crashes from 2009 to 2013 crashed between 10pm and 5am, compared to 12% of drivers aged 25 years and over. 25% of drivers aged 16-19 years involved in fatal crashes from 2009 to 2013 were driving with two or more passengers, compared to 12% of drivers aged 25 and over. Introducing night-time driving and passenger restrictions for P1 drivers will provide safety benefits for all young drivers in their first year of solo driving. How will these laws save lives? Get more info on how these changes will help save lives here. Will the changes apply to motorcyclists? Night-time driving and passenger restrictions will apply to all P1 licence holders under the age of 25 years, regardless of the class of vehicle. The night-time driving restriction will also apply to learner motorcyclists aged under 25 years who do not hold a full licence (for a car) or a P2 licence (for a car). This will ensure that inexperienced learner motorcyclists receive the same level of protection as motorcyclists who hold a P1 licence. Learner motorcyclists will be provided with the same exemptions for night-time driving. The night-time driving restriction will not apply if a passenger on the bike or in a sidecar attached to the bike is acting as a qualified supervising driver. Do other States also have these laws in place? Yes. These laws will bring South Australia in line with other States. Victoria, Queensland and NSW have had a passenger restriction for P1 drivers for several years and Western Australia has a night driving restriction for P1 drivers. States including Tasmania, NSW, Queensland, Victoria and the ACT already have a longer provisional licensing period than South Australia. How does South Australia’s young driver road toll compare to other States? Was the community consulted on these changes? Yes. 1079 submissions were received from members of the community and road safety stakeholders when the GLS Discussion Paper was released for comment in late 2011. This feedback shaped the proposed initiatives. The proposals were supported by key stakeholders including the health sector, emergency services and the RAA. Will the minimum age for getting a provisional licence be increasing to age 18? No. The minimum age for obtaining a provisional licence will remain at 17 years. Based on the feedback received from the public consultation, there is not support for raising the provisional licensing age to 18. It is important to recognise that delaying the age of obtaining a provisional licence has significant safety benefits and this should be considered by young drivers and their parents and caregivers. Will the learner’s permit age increase? No. There is no proposal to raise the age for obtaining a learner’s permit and the minimum age of 16 will continue to apply. Will the current learner period increase from 1 year to 2 years? No. The minimum period on a learner’s permit is 1 year and this will stay the same. Will the number of supervised driving hours required to be undertaken by learner’s permit holders be increased? No. The current minimum requirement of 75 supervised driving hours will stay the same. Will these changes be unfair – particularly to young rural South Australians? The changes are aimed at protecting young drivers and passengers and are not intended to make life tougher. However, acquiring a driver’s licence is one of the riskiest things people do in their lives. Saving young people’s lives must take precedence over concerns about mobility and inconvenience, particularly when passenger and night restrictions would apply only for 12 months. Young drivers living in rural and regional communities will receive a proportionately greater safety benefit as a result of these changes as young drivers aged 16 to 24 years living in rural South Australia are around 2½ times more likely to die or be seriously injured in a crash than their peers in metropolitan Adelaide. Young South Australians are dying on our roads at greater rate than those in NSW, Vic, Qld, WA and the ACT. Will the changes result in fewer employment options for young people? No. Exemptions will be available for employment purposes which would include driving to or from work or in the course of employment. Police members driving on duty and members of other emergency services, both paid and volunteer, and driving an emergency vehicle on duty will also be exempt from the night and passenger restrictions. For details about the exemptions available and the criteria visit GLS exemptions. Won’t passenger restrictions affect designated driver schemes and car pooling opportunities? Under the passenger restrictions, a P1 driver will be able to carry immediate family members, as well as one peer passenger aged 16 to 20. P1 drivers will also be able to drive with more than one passenger aged 16 to 20, provided at least one of the passengers is acting as a Qualified Supervising Driver (someone who has held a full driver’s licence continuously for 2 years without disqualification in that time, and does not have a blood alcohol concentration over the 0.05 limit). Passenger restrictions do not apply to drivers at the P2 stage and so they will not be affected by the restrictions, and may be able to assist with car pooling or agree to be a ‘designated driver’. Do any P1 or P2 drivers currently have a night driving curfew? Currently, a P1 or P2 driver who commits a serious disqualification offence will receive a disqualification. When they return from serving their disqualification they have a curfew condition for 12 months. • any offence committed by a person previously disqualified from driving. The night-time driving restriction and the passenger restriction will replace the curfew for all P1 drivers aged under 25 years. What is the penalty for a P1 licence holder driving without displaying P plates? P1 licence holders must display red P-plates on a vehicle while driving or they risk receiving 2 demerit points and a fine.